You have a great business plan, and you’re excited to start the process of getting your new website online and noticed. But before even considering the launch of a new website for your business, it’s very important to consider your company’s corporate identity and branding. Your brand begins with a name, symbol or design that identifies your company, and its good and services, from those of your competitors. Your brand will be something that your customers come to recognize and remember. A successful brand will help your customers understand and appreciate why your company stands out from the competition. Trust is created, and first-time customers eventually become repeat-customers. In addition to creating trust and standing out from competitors, branding helps your customers understand your company’s values. A strong brand communicates with your audience and informs them that your business is more interested in building customer loyalty, rather than simply selling a product. A new branding campaign often begins with the design of your company’s logo. Your logo should be recognizable and make your business stand out from your competitors. A unique and easily identifiable logo has the potential to bring you new customers, and your branding strategy should be associated with positive values that your company offers. 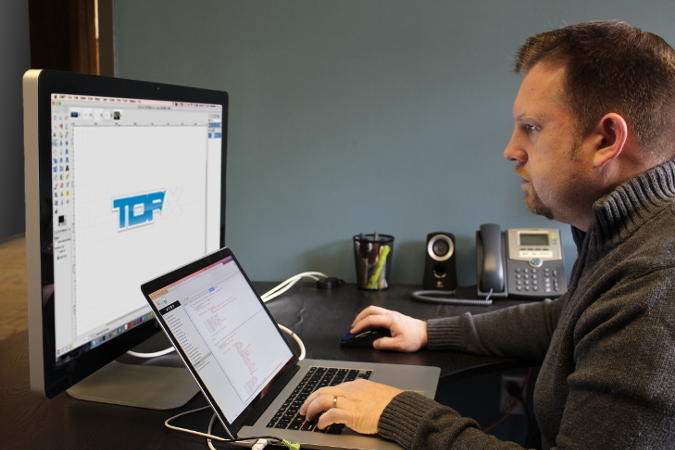 A professionally-designed logo and brand name recognition can increase your profits, and Torx Media can help you achieve those results. We’ll work with you closely to understand your business’s personality and its goals. We will create a series of unique, professional logo designs that will guide your new brand. If you have a new business that needs to establish an identity, or if you have an existing business that is in need of rebranding, we’d love to help. Give us a call at 804-577-8679 or click below to contact us. Memorability. When your brand, logo, style, and philosophies are repeated often enough, it becomes much easier for your customers to remember and recall your business. Familiarity. The more often individuals encounter and become familiar with your business, the more likely they are to begin liking your business. Familiarity is often the first step to building trust. Loyalty. Great branding creates an emotional bond between your business and your customers. Loyal customers will soon become enthusiastic and passionate ambassadors of your business. Stability. Even if your business is new, having a solid identity and branding gives the impression that your business is stable and dedicated to its respective industry. Expandability. Having effective and established branding can even help when introducing new products and services. When your brand is already recognized, it is much easier to expand your offerings under your “family brand”. If you have a new business that needs to establish an identity, or if you have an existing business that is in need of rebranding, we’d love to help. Give us a call at 804-577-8679 or fill out the form below to contact us.